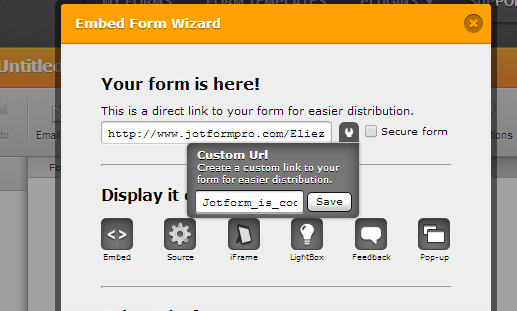 Is custom domains workaround available for secure forms? Is this option valid for secure forms ? I read above SSL is not supported, is this been improved now? You are right. As the article says, SSL is not supported currently. By the moment we have not received any information from our dev team iwhether they have plans to improve or implement such capability. Inform us if you need further assistance with this inquiry.